Diabetes is a disease in which the body’s ability to produce or respond to the hormone insulin is impaired, resulting in abnormal metabolism of carbohydrates and elevated levels of glucose in the blood and urine. Excessive weight and obesity, in conjunction with lack of exercise, causes the body to resist insulin. Insulin resistance eventually causes complications including heart disease, cholesterol problems and diabetes, with diabetes being an enormous portion. Populations of diabetics in our region have doubled in the last 20 years, and this is particularly dangerous for the Latino community because they have a statistically higher number of complications with diabetes. Dr. Idriss explains that the best way to prevent or lower your risk of developing diabetes is to eat healthy, exercise regularly, and overall replace bad habits with good ones. However, if one is diagnosed with diabetes, Dr. Idriss emphasizes the importance of staying consistent with regular trips to the doctor. 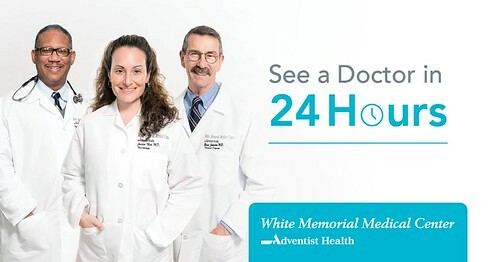 For more information about diabetes, advice and educational programs, please visit White Memorial’s Diabetes Care Center.